A major road block for many couples recovering from infidelity is talking about the infidelity. I can’t tell you how many times my coaching clients bring up this issue. It’s HUGE. 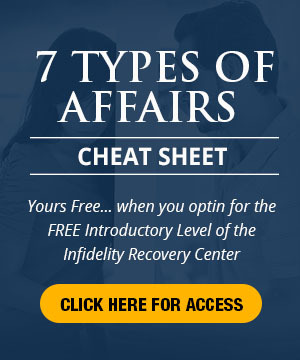 One MAJOR shift for a couple attempting to rebuild after infidelity is: From the fear of talking about the infidelity – to expressing the need to talk and why. Helen wrote me an email describing in eloquent detail how her and her husband navigated these turbulent waters. I really appreciated this email from you and I received it at a very important time in rebuilding the relationship and marriage with my husband. We are reconciling after seven years. He is now three months back in the house and we made a promise back then that in three months’ time we would both ask each other how we were feeling. Well last night we had the talk and we both agreed that we would be very honest with each other. To be honest I was fearful talking about it. I felt he was home, he was there, don’t upset the apple cart. But we had promised to be honest with each other and I asked my husband how he was feeling being back around me and his three sons (all adults) and he said he was very happy to be back home. He thinks we are both doing great, we have both changed, he is very sorry and will try and make it up to me and his sons in any way he can. He said he thought about us a lot, knew what we were all going through, knew I was hurting and in pain (which I begged to differ) and told him so as he could not possibly know the pain I was going through. He looked surprised when I said this, but tried to reassure me he knew what I was going through. He was going through pain also and his pain must have been the same as mine. I felt very angry when he said this. My husband saw I was angry and told me not to hold back, to talk. I told him I had written my story and asked him to read it so he could see exactly what went on in our home while he was gone. He said he did not want to read my story (Diary) as he felt I was trying to make him feel guilty. This was not the case and it was never my intention to make him feel guilty. I just felt he needed to know the damage he left behind, the many people he hurt, but mostly and more importantly me and our three sons. Our voices got a bit raised so I asked for a time out and asked that we speak to each other in a civil manner and not to shout. My husband agreed. After 15 minutes we continued the conversation. I asked him not to compare my pain with his. His pain was a choice he made. We talked for quite a while after that and I felt more at ease with myself. I was no longer afraid to say how I felt, I let my words flow. I was hurt that he thought I was trying to make him feel guilty and annoyed also and I told him so. I had honestly thought if he had read my story or Diary as I call it now, he would be able to understand me a lot more and we could heal a lot quicker because we knew what we had to work on. He said he thought I was trying to make him feel bad, point a finger at him and tell him he was a bold man. I was glad he was honest with me about how he was feeling, as I would never have thought that. Normally that would have been a lack of communication between us, but after we trashed the whole thing out (amicably) we both felt a sense of relief that each of us were on the same page now and very pleased at how honest we were both being. He asked me how I really felt since he came back and I hesitated to answer. He asked me to tell the truth as he had noticed I was somewhat distant for some days now. I told him I thought I should be a lot happier in myself since his return. I could see this hurt him a little and he asked me to explain. I thought having him back now, everything was going to be great. we were back together yeaaa and we would live happily ever after. Not so. I felt he was not guilty enough, slipped back into the role of my husband too easy, thought he would be hugging me more, telling me how happy he is to be back, etc. etc. I just needed some more reassurance and he said he thought he was giving me lots of reassurance, but he will work on that. He understands I will have triggers and days when I feel sad and asked that I promise to let him know when I am having these thoughts so we can both talk about them. I could see myself slipping back into old patterns, but I convinced myself there was no harm in this. I also felt a bit angry at myself. Here I was, after working on myself for all those years, coping on my own, making my own decisions and yet I was letting myself slip back into old patterns. When I said this to my husband he asked me why I was changing back to my old ways for him. He did not want me to do that. I had no real answer to this other than to say maybe I was happy he was back and I was afraid he would leave again. We talked for a long time about this and at the end of our conversation we both agreed we had cleared the air, to always be honest with each other about how we feel and to talk about even the slightest worry we may have no matter how small it was. So, Doctor, thank you for helping us not to be afraid to open up about how we really feel and to not let lack of communication stop us from having a wonderful marriage. For more information on Recovering from an Affair, check out my e-book, Break Free From the Affair. 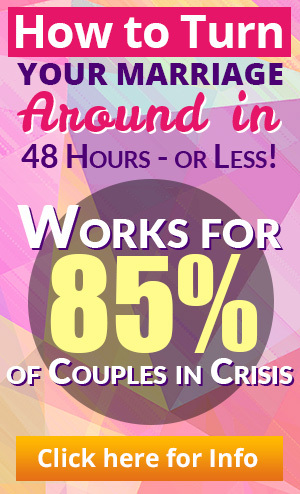 This entry was posted in Emotional Infidelity, Infidelity Coaching, Infidelity Marriage, Infidelity Pain, Real Life Infidelity Stories, Rebuilding the Marriage or Relationship, Relationship Communication, Trust Building and tagged affair recovery, marriage communication, recovering from infidelity, taking about the affair. Bookmark the permalink.